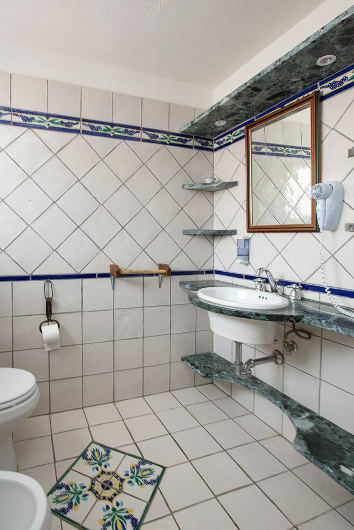 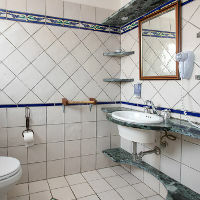 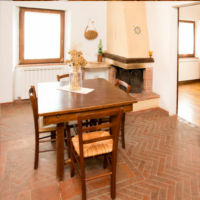 This apartment is situated on the first floor with private entrance from an outside staircase. 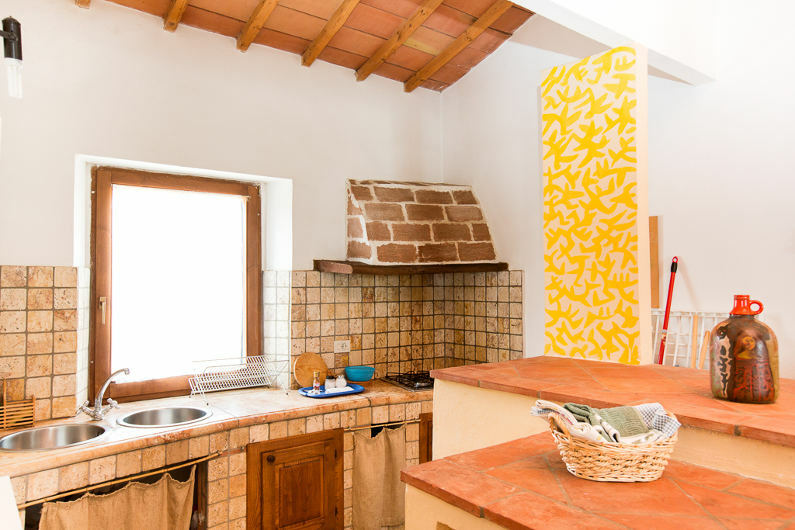 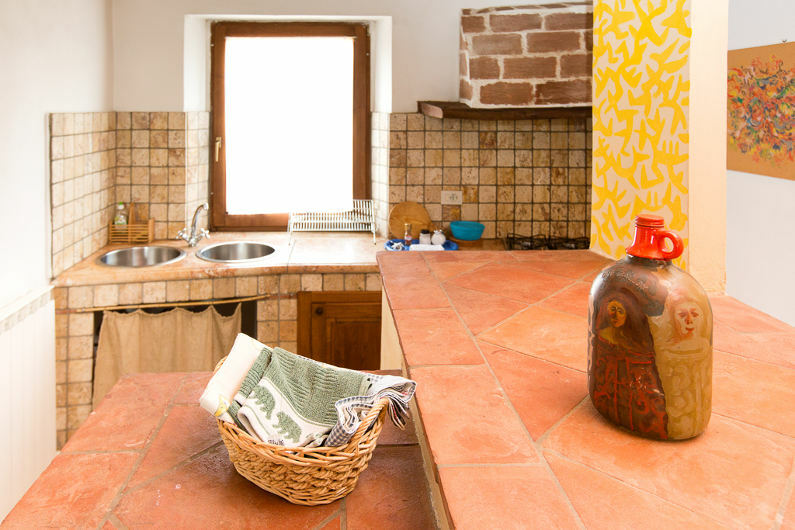 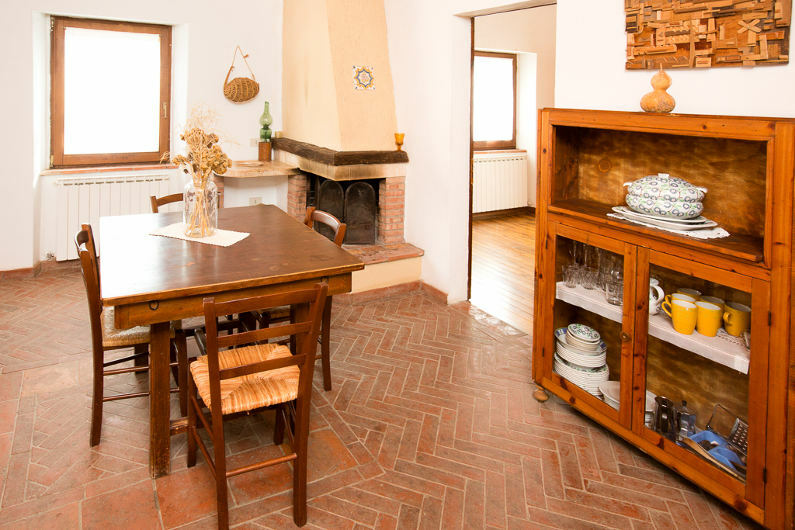 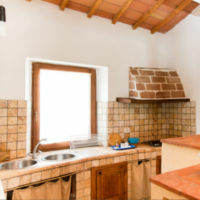 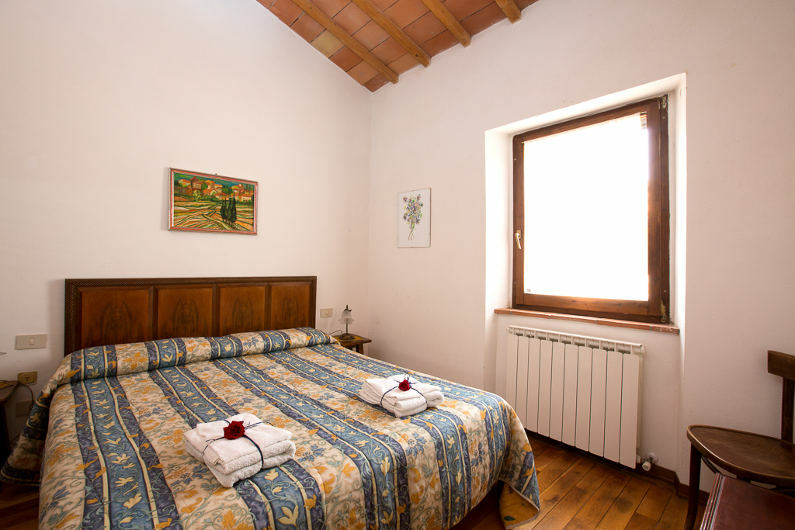 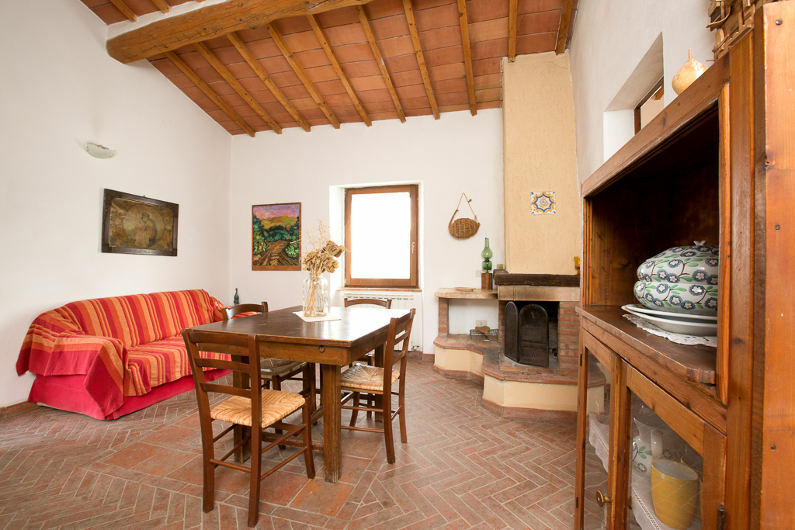 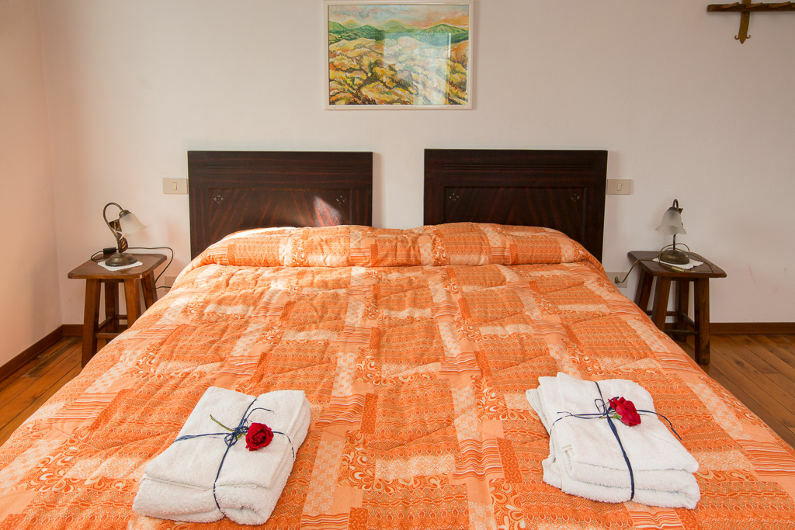 It is composed of a comfortable dining/living room with kitchen corner and a fireplace, a double bedroom and a twin-bedded room (both with parquet-flooring) and a bathroom with shower. 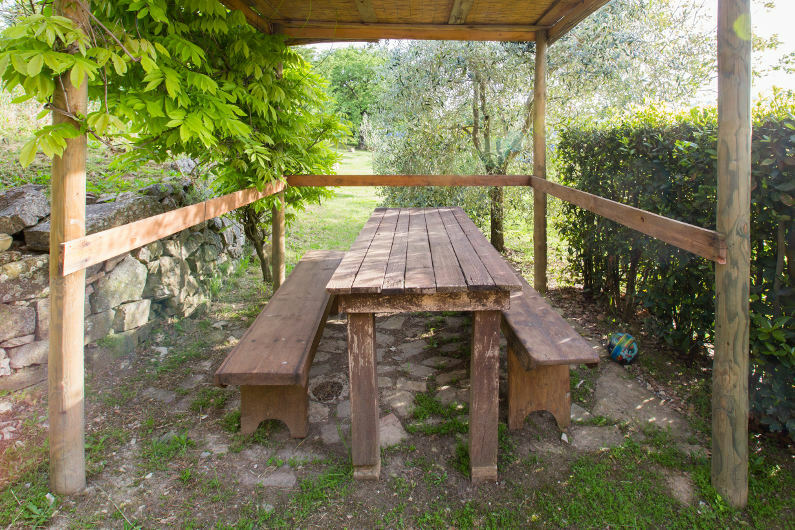 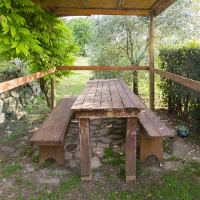 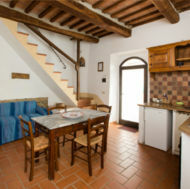 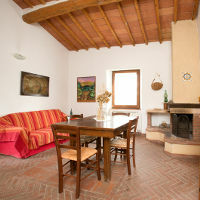 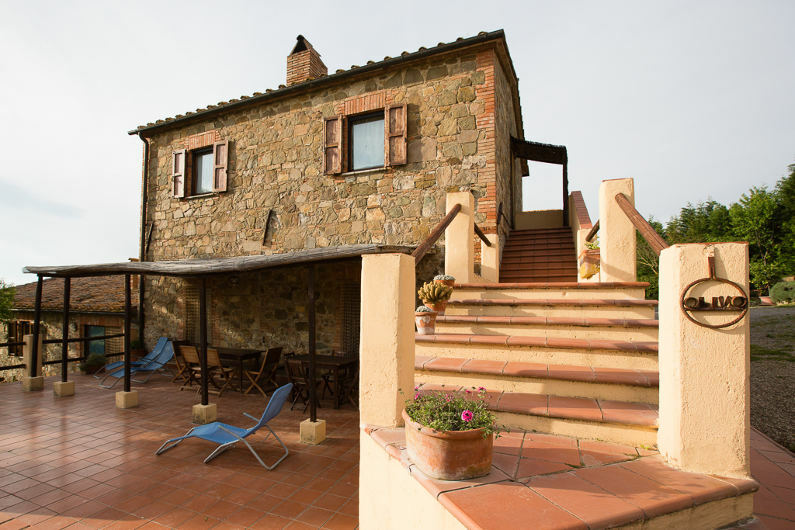 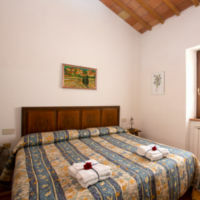 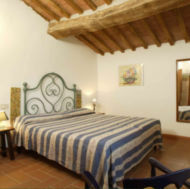 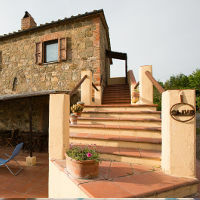 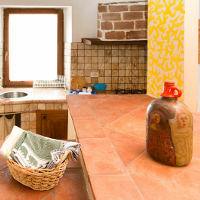 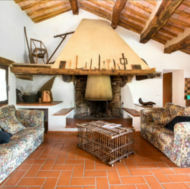 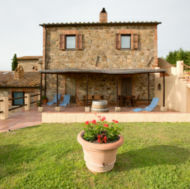 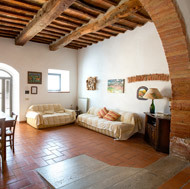 The view from the double bedroom is on the hill of Montalcino.